The value of your home, as determined by a real estate appraiser, is an important piece of information for the broker, the lender and the buyer. As such, the accuracy of the evaluation is critical, as a lot rests on it. It is very important to work with an unbiased appraiser who can provide a thorough evaluation based on in-depth market research. Just as important as working with an objective appraiser, is understanding the process itself and the many misconceptions of the procedure. 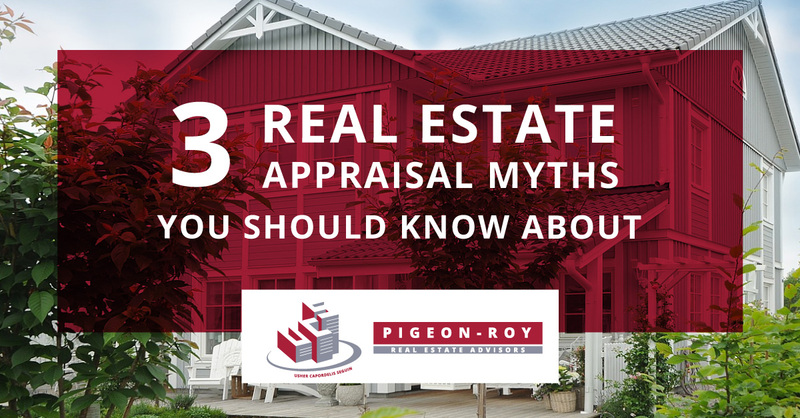 Here are a few real estate appraisal myths that you should be aware of when undergoing the evaluation process. Reality: Based on the current state of the market – i.e. a “buyers’ market” versus a “sellers’ market,” the appraised value of your home may not be the same as the selling price. For example, in a “sellers’ market,” where there are multiple offers, also known as a “bidding war,” the selling price of your home can be inflated above the appraised market value. On the other end of the spectrum, in a “buyer’s market” you may unfortunately have to lower the asking price of your home, often meaning it will sell for less than its appraised value. While multiple offers are good for the seller, the buyer may run into the opposite problem if they choose to sell down the road in a less active market. Reality: Even though you are the one footing the bill for the appraisal, you are technically not the client – the lender in which the appraisal is being prepared for is. Similar to the doctor patient or lawyer client professional confidentiality agreement, the appraiser has a legal obligation not to disclose the content of his report to you. As the prospective homeowner, you may be privy to a copy of the appraisal, if the lender agrees and provides consent to the appraiser. With that said, as some of the information in the appraisal is your personal property, it can be accessed under the Personal Information Protection and Electronic Documents Act (PIPEDA) act. Reality: Unfortunately upgrades and renovations do not always impact your home’s appraised value – no matter how much you spend or how good your home now looks. The appraisal will depend on the quality and the value of the renovations. It is also dependent on the market conditions of your neighborhood. At times, upgrades may even negatively impact your home’s value. This happens when the renovations you have made are unusual in a given market. So, before you sink too much money into updating your home, it is advised to get an expert opinion from an objective appraiser that you hire independent of the bank.